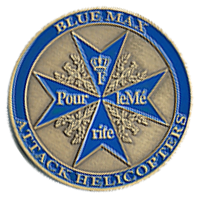 Official Blue Max Challenge Coin. Fairy Godmother's come in all sizes and shapes. These "mothers" seemed to almost always be on a mission with us with one down low and the other up at 1500 feet ready to suppress any bad guys. A bunch of us wouldn't be here if it wasn't for these fairies watching out for us. Don't be caught without one at the next reunion. Their challenge coin is a metal coin weighing slightly over two ounces and is 1.5 inches in diameter. A limited quantity of these coins are available in our online store. 2019 Reunion registration now open! Registration for the 2019 Reunion and group tours in San Antonio, TX is now open! 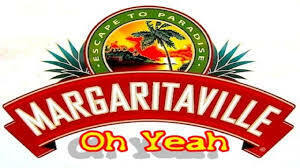 The Holiday Inn Market Square has been designated the official location of Medical Battalion Margaritaviille. Register now to join us for a great pre-fiesta party in the town that really knows how to party. Salt and lime - it's margarita time, y'all. It's not quite time yet to start packing for our next reunion in San Antonio, TX but here's just a teaser about this great historic town. New information added to our Web site about the reunion tours. You will have the choice of going on one tour Thursday afternoon and one tour on Friday afternoon. There is a mix of historical tours or...for the more adventurous there will be Segway tours as well as indoor free-fall parachuting. Check out more on the 2019 Reunion page. Well... the American flag caps have been selling so well, we decided to throw our hat in the octagon (pun) and offer two more varieties of baseball caps for all you medical maroon freaks out there in 15th Medland. 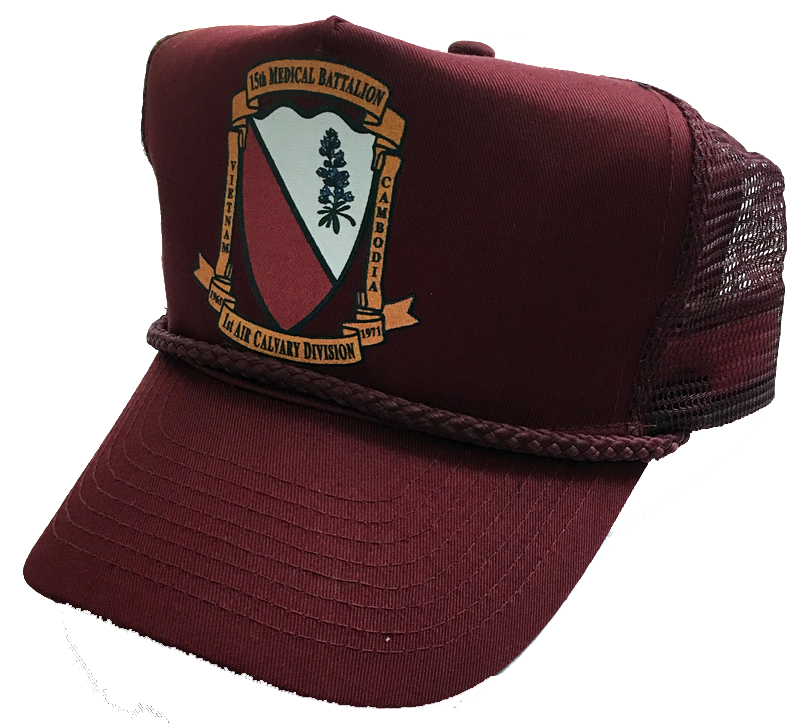 Visit the online store to see the latest styles of caps (Cotton Twill or Twill Mesh) available in your selection of our three crest variants. 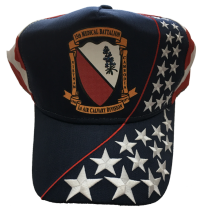 Need a new patriotic baseball cap for this summer? 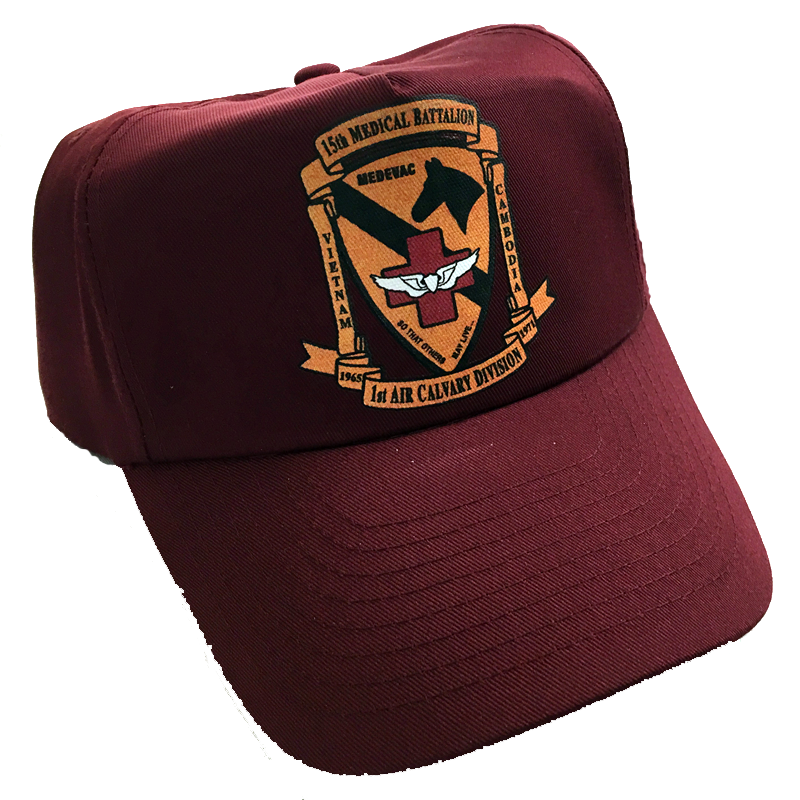 How about a waving American flag baseball cap in cotton twill? These five-paneled baseball caps come with fused Buckram backing. 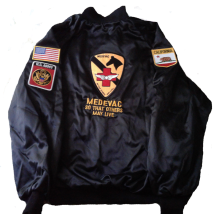 Comes in three options; Medevac crest with the word "MEDEVAC", Medevac crest with 15th Medical Battalion border, or 15th Medical Battalion crest with 15th Medical Battalion border. You asked for these at the last reunion and now we have them in the online store. Have you been to our online store lately? We've gotten in a new shipment of men's polo shirts and lady's blouses. Each may be ordered with a choice of three crests. They're good looking "carefree" shirts and blouses. 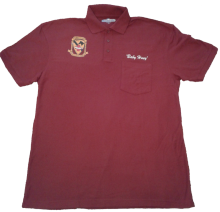 The men's shirts have a pocket and optional embroidery. So sneak over to our store and take a look at the latest inventory. 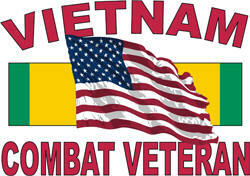 Purchase one of these shirts or blouses and help the Association as well as show your pride in what you did in Vietnam. Have you visited our online store lately? Well that's too long! Customizable lite-weight lined satin jackets are now available. 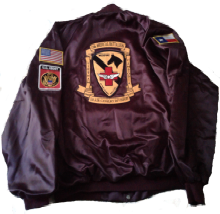 You may customize the jacket to be a one-of-a-kind jacket. 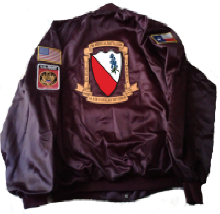 Available in many colors with your choice of three different patches on the jacket back. Get one now and be ready to wear it at the next reunion. If you don't get the 1st Cav's Saber Magazine, you can find all the back articles about the 15th Med Bn in the Historical Documents section of this Web site. And the latest article penned by Mike Bodnar has been added here. We really owe Mike a big thank you for writing articles for the Saber for years and years. If you think it's no big deal, you ain'ta ever had to come up with something to write about each publication date. I remember when I was stationed in St. Louis and was writing a monthly article entitled "Best Personalized License Plate of the Month." If I was running short of material by a few days before the publication deadline, I had to drive around St. Louis looking for personalized license plates - used a lot of gas sometimes. The best plate I ever found was on a Mustang driven by two twenty-something guys and the plate simply said, "XLCOX." If you can't figure it out, e-mail me. Guardian Angels for Soldier’s Pet has a two-fold purpose, which includes assisting our deploying active duty service members and veterans in specific situations with volunteer ‘foster homes” within our foster home network and the “Military Pet Assistance” (MPA) Fund for assisting our “Homeless Veterans” with veterinary care expenditures and temporary pet boarding expenditures. Calendar sales will continue through the end of December. 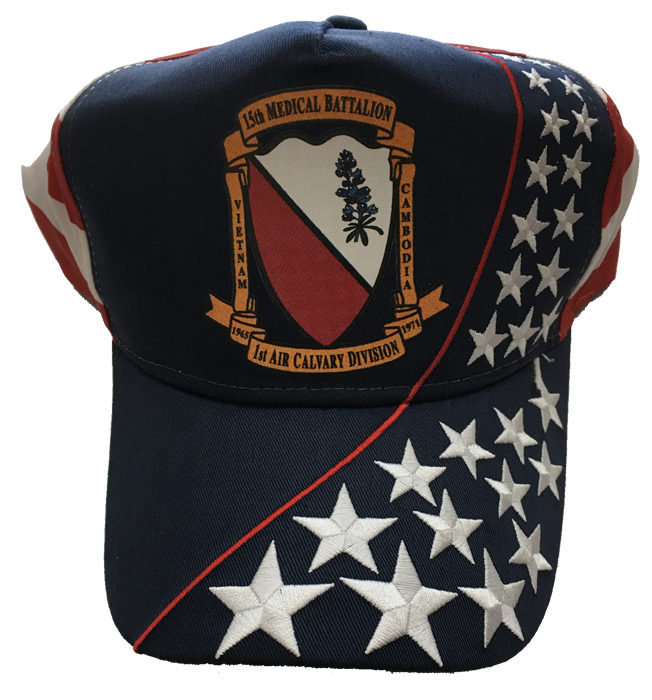 The 15th Medical Battalion Association will hold their next reunion in San Antonio, TX from 3-7 Apr 19. Our host hotel will be the Holiday Inn Market Square where we have a very generous contract. The hotel is providing a complimentary welcome reception on Wednesday evening, 3 Apr 19 (1700-1800) to include beer, wine, soft drinks, water and chef’s choice of 1 hot and 1 cold hors d ‘oeuvres selection. The room rate will be $99/night, which includes a complimentary hot buffet breakfast each day with each room and we'll have our own private breakfast room. The hotel is three blocks from San Antonio Market Square (old Mexican market) and famous Mexican restaurants, six blocks from the Riverwalk, and 10 blocks from the Alamo, a five-minute walk. We will also have a complimentary shuttle van that will bring folks anywhere in the city and then pick them up when called. During the day and evening we will receive a 20% discount on meals in the hotel restaurant as well as in the lounge. There will be a tour of the US Medical Department Museum on Fort Sam Houston as well as a night get-together at one of the famous Mexican restaurants at Market Square. Check the reunion page periodically and look for updates as they occur. You can start now lining up your daily wear of t-shirts and shorts because it's almost a safe bet that San Antonio won't have snow that time of year!! So pass the word and all y'all come down and have a blast! The latest issue of the 1st Cav's Saber Magazine has been published in our Historical Documents section of this Web site. We owe Mike Bodnar a big thank you for taking the time and effort to pen articles about the 15th Med Bn every other month. He's been doing it for year, and years and is one heck of a dedicated writer. Check out this latest issue and maybe click on some of the other back issues. Scott L. Reda and his company, Lou Reda Productions, has worked hard to preserve and share America’s military history through film. Lou Reda has been a longtime collaborator with History Channel and National Geographic, producing shows such as Vietnam in HD and Brothers in War (Boys of 67). Included below is a link to an interview with Vietnam Magazine that details his goals and history. They are continually looking for footage to continue to help preserve and show our nation’s history. Scott is looking for 8mm and 16mm film of the Vietnam War and the American home front. Upon receipt of your footage, they will clean and digitize to high definition, and return your original footage with a DVD copy. You will also be asked to sign a release form to allow use in the future. For more information, please contact his directly at, scott@louredaproductions.com . He greatly hopes you will assist them in sharing America’s past through film and preserving it for the future. A new, highly sophisticated scam is targeting veterans across the country. Many reports suggest the scammers are making millions by tricking veterans into thinking they are speaking directly to a utility company representative. The scam is making rounds around the country, and veterans appear to be the main target. The scammers claim to be your utility company calling to inform you of a past due amount on your utility bill and then threaten to turn off your power immediately if you don't pay. To create urgency, the scammers tell you a technician is on his way to turn off your power. The scammers are informing veterans they either missed a payment or didn’t pay enough on their last bill. 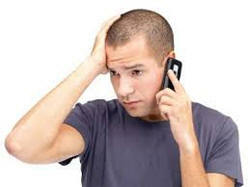 The scammers are using a telephonic system to make it appear as if they are calling you from your local utility company. Using this “ghosting” technique, the scammers mimic local utility company numbers, but, are off by a number or two. Is it fact or fiction? Does Home Depot honor your service with discounts or is it just a myth? In a once very politically correct, and very public display of honoring the service of all active duty American veterans, Home Depot had proudly announced any veteran who presents an official VA Benefit Card, Veteran ID Card or Military ID would receive a 10 percent discount. But now the number of days this discount is offered to veterans who are not active, reserve, retired or disabled veterans will now only qualify for a 10% discount during normal holiday events (e.g., Memorial Day, Veterans Day and Independence Day). Sounds like a classic ‘bait and switch’ publicity stunt. American servicemen and women don’t switch on their promises. We have been always faithful. View official policy HERE. The 2018 reunion was one for the books. There were over 115 folks in attendance and a good time was had by all. Ahhhhh, except for the 0130 fire alarm going off and mandatory evacuation of the whole lodge. Fang did an excellent job of having a wonderful hospitality room for us and a super-tasty banquet buffet. Dan "Fang" Toothman did an out standing job in coordinating the 2018 reunion in Williamsburg VA. The hosting hotel was a perfect location for our group to meet at and hold our 20 year reunion. Many of us were stationed at the transportation school at Fort Eustis to become crew chiefs. I was also stationed at Ft. Eustis to be a tug boat operator but once I arrived in VN I was converted to a 11B2F MOS and made a door gunner. Fang was knowledgeable of the area and met our needs. Great restaurants and historical locations in the area. I was unable to travel to the Tattoo ceremony, but those that did commented on how well they enjoyed it on numerous occasions. We kept Fang busy. The auction brought in over $2800 thanks to the work of Jim Calibro and Doc Holiday. Also Doc Holiday stepped in and helped me with the auction when I got tired. Doc did an outstanding job. Valarie Williams kept track of items sold and who bought them. Velma Smith, Teri Raferty and Lana Brown did an outstanding job. Also, thanks to all the volunteers working in the background making name tags, manning the registration desk, cleaning the hospitality room, and a zillion other tasks needed to have a successful reunion. It was an honor to recognize Yolonde Martin and her family. Art Martin passed away in 2017, he will truly be missed by all. We also lost my good friend Bill Haistings & "Doc Nose" Flowers. They will be missed by all members. Both passed away since the 2017 reunion in Branson. This reunion was special to me as I broke my neck last year and I though that I would no longer be capable of making another. The members of the association prayed hard for my recovery and God answered all prayers. Thank you 15 Med for having my back. In parting, many thanks to Fred McKeller for serving a 2nd term as President of the 15th Med. He brought integrity and professionalism to the Association as we rebounded. Now is the time to send your pictures of the reunion to medevac2@15thMedBnAssociation.org for inclusion in the 2018 reunion page. I know all y'all took lots of pictures, so take a half hour out of your day and send them in. Here's what we have so far. An updated version of the Constitution and By-Laws was approved at the reunion. Besides reducing the "legalese", the latest version is searchable. The previous version was in Adobe reader format and could not be searched. If interested, the Constitution and By-Laws are HERE. Our mission requests in Vietnam came in a non-standard format that usually covered the essential data elements to (at least) bounce and begin the mission. After Vietnam the Army Medical Department realized it would be more advantageous to use a standard mission request format. Current members of the military are now taught the standard 9-liner. Below are the data elements of each of the nine lines of a mission request. Hey, hey don't laugh...the young bucks and buckettes in the service today all know the 9-liner. And...there's going to be a pop quiz on this at the next reunion!! Line 1. Location of the pick-up site. Wait for opening music to stop and then click triangle in middle of picture. To know why we did what we did in Vietnam, you need to understand the efforts of the pioneers of medical evacuation. 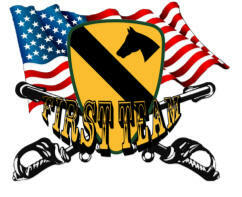 They forged the way for the 1st Cav Div. to realize it needed dedicated air ambulance support for its deployment to Vietnam. To be proud of what we did in Vietnam, you need to see the current efforts or our air ambulance soldiers in the war against insurgency. Take a few minutes and view the video linked below. It's well worth the time. 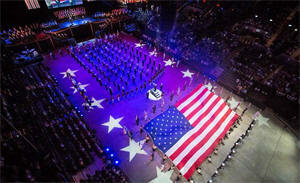 Just 16 more days ‘til the Virginia International Tattoo! Don’t miss you chance to see the most spectacular, most moving Tattoo ever—more than 1,000 performers from around the world, in an astounding display of inspirational military music, majestic massed pipes and drums, show stopping drill team maneuvers, colorful dancers and more. -From Italy, the amazing musicians of the 11th Bersaglieri Regiment Fanfare Band! With their plumed hats, these wonderful musicians run while they play! -The Traditional Army Band of the Republic of South Korea, with its colorfully costumed Yepuri Dance Team and astonishing, acrobatic tae kwon do masters! The centerpiece of this unforgettable show is a moving salute to Medal of Honor recipients, the highest award for valor in action which can be bestowed upon an individual serving in the Armed Services of the United States. Nine living Medal of Honor recipients will be at the Tattoo performances, and you’ll learn first-hand about their bravery and sacrifice. As part of this Medal of Honor commemoration, you’ll see the U.S. Army 3d Infantry Tomb Guard Platoon perform for the first time outside Arlington Cemetery’s Tomb of the Unknowns…and see the solemn beauty of the U.S. Army 3d Infantry Caisson Platoon, with their 11 horses. Come early for the “Tattoo Hullabaloo” on Scope Plaza and other free pre-show events! Our organization has no set dues. The operating money we need during the year is made from online sales at our store, reunion registration, and the ever-so-popular annual auction. Though not mandatory by any means, it has become customary to bring an item (or two) to be donated in our annual auction. These items may be something you got a business to donate, something you've made, or something you've purchased and donated to the auction. The items auctioned off over the years just about runs the gamut of everything you can image. We've had books, wine, license plate frames, Cav memorabilia, paintings, walking canes, t-shirts, indoor/outdoor thermometers, and moonshine. Like I said, you name it and it's probably been auctioned off at one of our reunions. So plan ahead and support our Association by coming to the reunion with something to be auctioned. Wanna know what's going to happen at the reunion? Well Fang has published an (tentative) agenda to guide you in knowing what day to arrive and what functions are planned. The reunion agenda is published on the Reunion Page and may change at any moment. So check back periodically and make sure you know what's gunna happen and when. 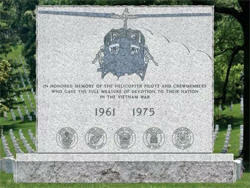 During the Vietnam War the helicopter became the mainstay for joint operational mobility. Approximately 12,000 helicopters operated in the combat zone and were used by all military services: Army, Navy, Marines and Air Force. Of this number, 5,086 were destroyed. The initial block of rooms in our reunion hotel are nearly filled. Fang is requesting additional rooms, but the problem is the hotel is also having another large gathering of folks and is running low on available rooms. If you haven't made your room reservation yet, our advice is to do it quickly - you snooze you lose. If you run into problems making a room reservation at the Great Wolf Lodge, alternative accommodations at the La Quinta (pronounced La Keenta) around the corner from GWL may have available rooms. Their phone number is 757-229-0200. A law was passed in 2015 by Congress to have the VA issue Veteran ID cards. A Web site was first available in Nov 2017 but the system crashed because so many Veterans were applying. Requesting an ID Card is not mandatory, but may be useful to have a Veterans ID to obtain Veteran discounts (especially if you are not Retired Military or do not have a VA Health ID Card). 3. Photo of your DD-214 that specifies "Honorable Discharge"
The retiree dental plan and the addition of a vision plan will allow for beneficiaries to choose from several dental and vision carriers with a variety of benefit options. The FEDVIP program lists 10 dental carriers and four vision carriers (Delta Dental is included) with comprehensive dental and vision insurance at competitive group rates. Beneficiaries must choose a plan during TRICARE's open season (November 12, 2018-December 10, 2018). Beneficiaries need to understand there is no automatic transition for those currently enrolled in the TRICARE Retiree Dental Program. Changes can only occur during open season and life changing events. A partial list of coverage TRICARE beneficiaries receive with FEDVIP include: No wait period for most dental services; No annual maximum benefit for some dental plans; Access to regional and national dental networks; No deductible for some vision plans; No limit on brands for frames or contacts for some vision plans; Discounts on LASIK offered by some vision plans. Beneficiaries are encouraged to start getting information and pre-enrollment communications at: https://www.tricare.benefeds.com/InfoPortal/indexAction . The U.S. Flag, adopted on 14 June 1777, is the fourth oldest national flag in the world. Denmark's flag, adopted in 1219, is the oldest. A flag expert is called a "vexillologist." The blue field on the U.S. Flag is called the "union." On Memorial Day (the last Monday in May), to honor all who died in battle, the flag should be displayed at half-staff until noon only, then raised to the top of the staff for the remainder of the day. Since 1834, the U.S. Flag has flown continuously next to the grave of the Revolutionary War hero, the Marquis de Lafayette, near Paris, France. June 14 was proclaimed Flag Day by President Woodrow Wilson in 1916. While Flag Day was a popular celebration in scores of communities for many years after Wilson's proclamation, it didn't receive its official Congressional designation until 1949. The Virginia Fines Arts Festival is hosting the annual Virginia International Tattoo during the time of our reunion. The event is in Norfolk, VA a little over an hours drive (43 miles) from our reunion site. Our illustrious Reunion Coordinator Fang and his wife went to one in 2013 when they honored Vietnam Veterans and he says it was a great show. Fang has been to a couple of them and he says it is inspiring to watch the military marching bands from all over the world performing. Lots of bagpipes, drums and such. This year they’re honoring Medal of Honor recipients. Tickets are in the $40 range (Military and senior rate) and it looks like there isn't a bad seat in the house. For more information visit their site and don't forget to stroll over to the Tips Page. You may also be interested in downloading their brochure. If you're interested in going, Fang is checking on a group rate for a block of seats. E-mail Fang (danmedevac19@outlook.com) and let him know you're interested. If he receives enough e-mails with interested folks he will be able to get a better price. I bask in the afterglow of attending another reunion where it was so great to see so many friends again. Those attending our reunions have a bond of friendship few civilians would understand. 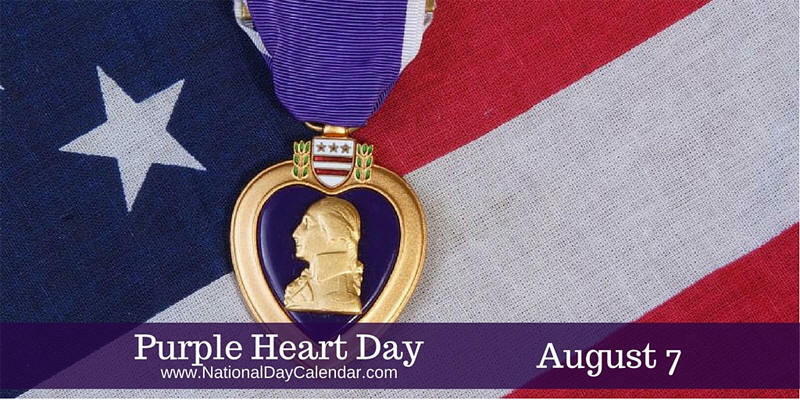 It was while thinking about the reunion that I received the latest edition of Purple Heart Magazine where I read one particular essay that hit home with me. In the article, An Extraordinary Experience with Exceptional Men, LTC Ken Donovan (US Army Retired) provided a well constructed trip down memory lane during his tour with 155th Assault Helicopter Company. I'm going to cherry-pick some of the sentences that made me dwell the longest. "We now gather in the twilight of our years, to recall events that occurred nearly 50 years ago, but more importantly to share our lives since we came home. I guess I always knew this but it has taken this long to come to the full realization that I survived an extraordinary experience and that I shared it with truly exceptional men. I am alive today because of them, and they are the best of their generation." "This shared commitment to each other was unlimited; while it was not something we openly talked about, we were willing to turn landing zones into aircraft junkyards to get our guys out." He concludes with, "For some reason thanks does not seem enough, but thanks for helping me survive an extraordinary experience and sharing your lives with me." You'll have to trust me on this, but if you missed our last reunion and haven't yet starting thinking about attending the next reunion, I believe you'd be missing out on an extraordinary experience with exceptional men. The family of BG Guthrie L. Turner Jr. (26 May 1930- 9 January 2014) has informed the 15th Medical Battalion Association that a building on the Madigan Army Medical Center Campus at Joint Base Lewis-McChord near Olympia, WA will be renamed in honor of the General. The Memorialization Ceremony for the renaming of the building will he held on 2 February 2018 at 10:00. The building to bear BG Turner's name is presently the “ Preventive Medicine Clinical Services Building” (Building 9025).. The new building name will be the “ Brigadier General Guthrie Turner Preventive Medicine Clinical Services Building”. BG Turner was the 15th Medical BN Commander and 1st Cavalry Division Surgeon from June 1968-June 1969. He completed his medical internship at Madigan Army Medical Center in 1953, and served as the Commander of the facility from 1980-1983. Click the link below for the official Invitation form with directions to the building. Also, if you plan to attend, please send an e-mail to historian@15thmedbnassociation.org stating the names of attendees. 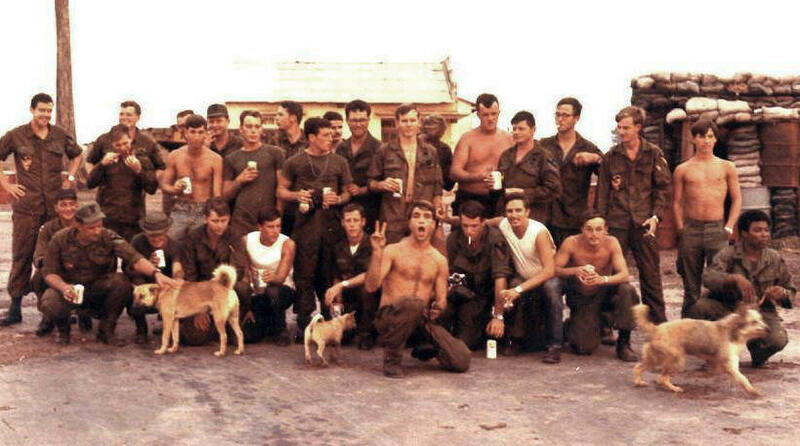 There will be a section designated for 15th Medical BN Veterans.